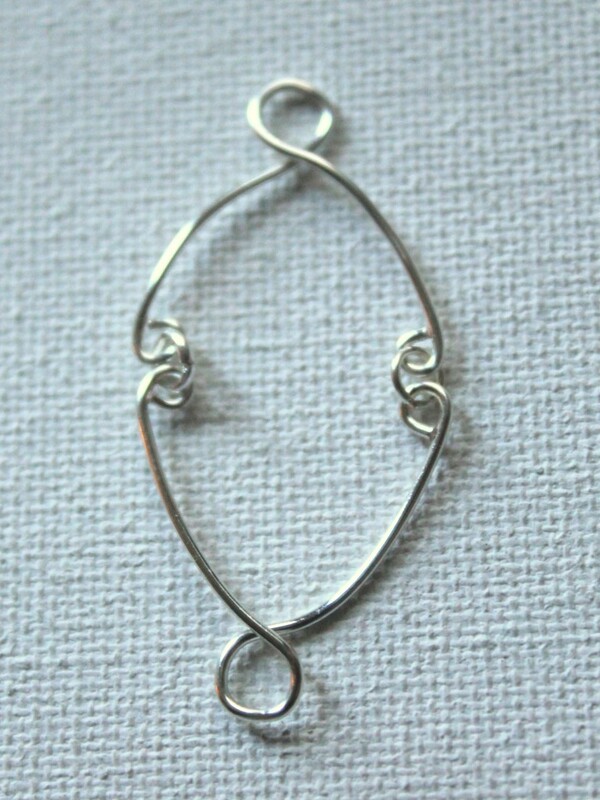 Today is Day 15 of Earrings Every Day Month here at Emerging Creatively Tutorials. So I’m sharing an earring project with you today. 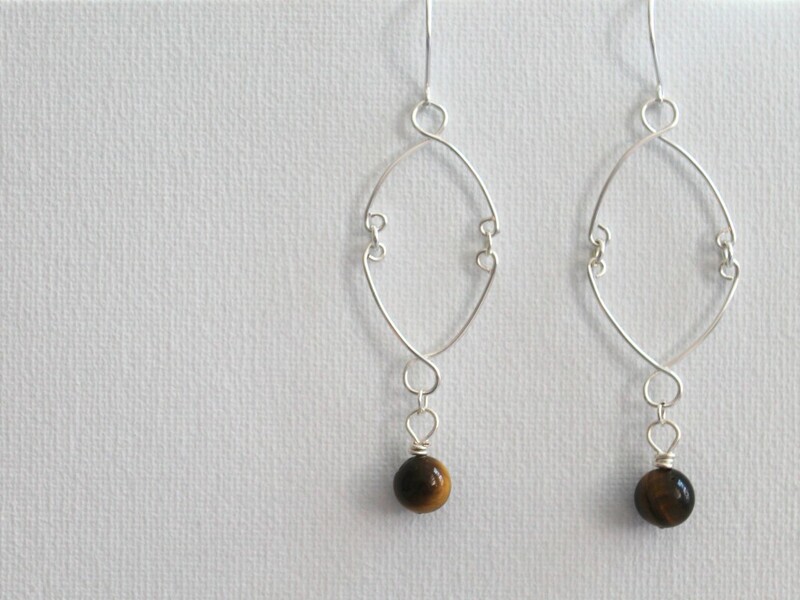 These earrings are pretty simple, but I think they’re elegant and fun. There is a lot of room to customize them to your own taste and preferences as well. 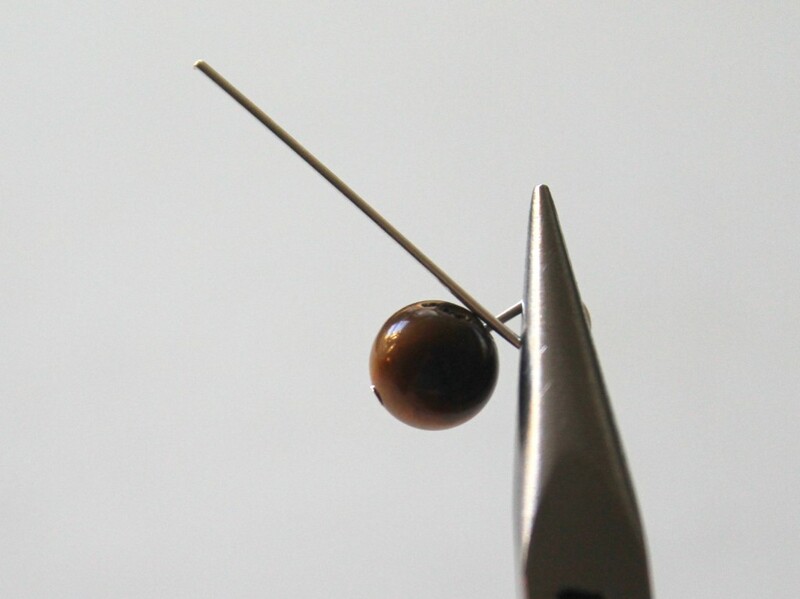 *Beads: You can use any beads you like, but just keep in mind that with earrings you have to be careful of the weight so they don’t pull at your ears. 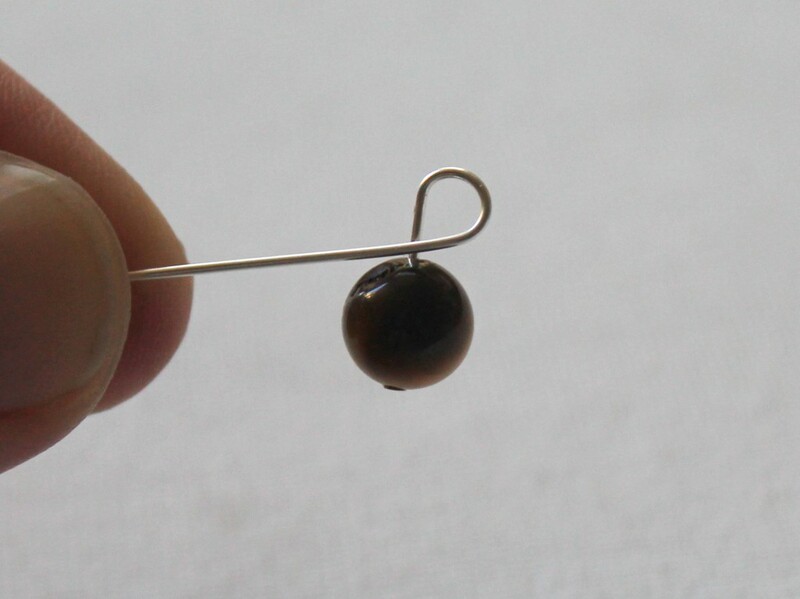 First we’ll make a bead dangle with the headpins and beads. 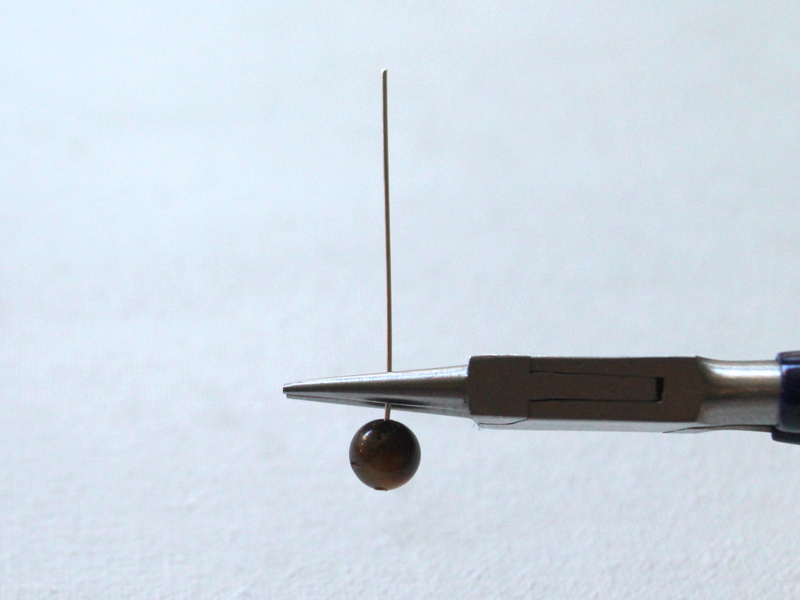 Slide a bead on a headpin and then hold the headpin just above the bead in round nose pliers. 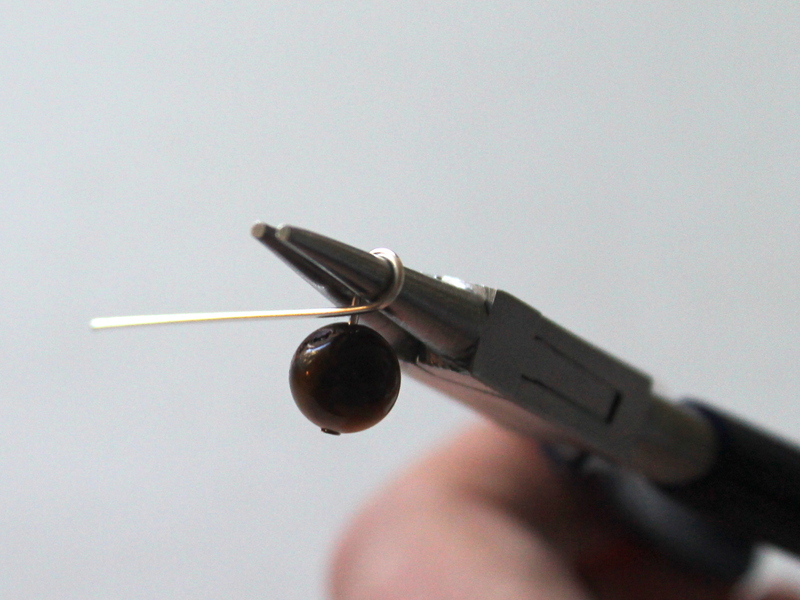 Wrap the headpin around the barrel of the pliers creating a loop. The loop is not straight over the bead, so you’ll need to straighten it. There are a few ways to do this. Complete the wraps and trim off any excess wire. Repeat for the other bead and set the bead dangles aside. 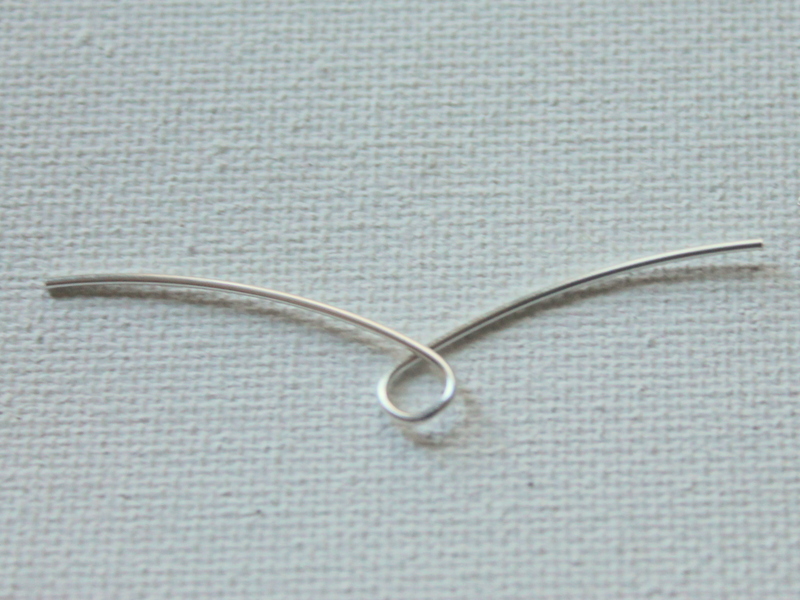 Cut 4 pieces of wire to about 2 and 1/2″ each. Make sure each end is flush cut. 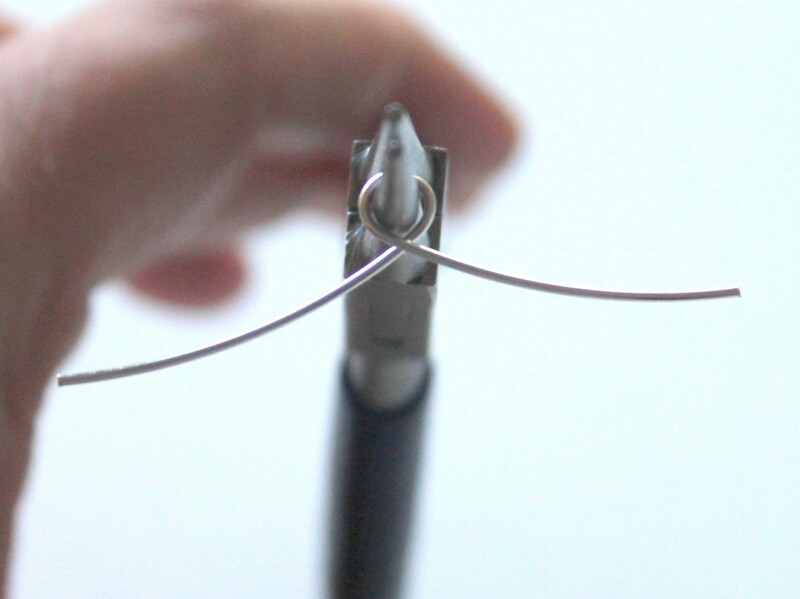 Hold one wire in the middle of the wire with round nose pliers and then form a loop in the middle. 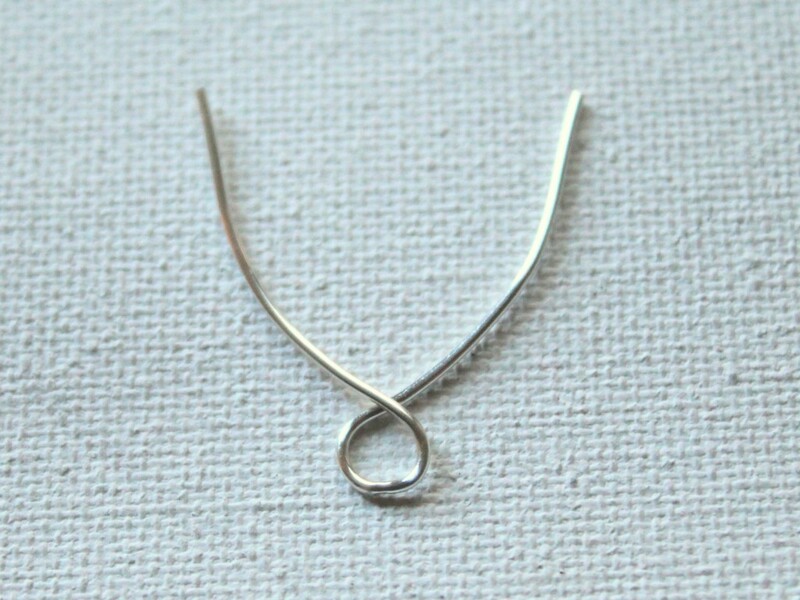 Now form the wire into a U shape. 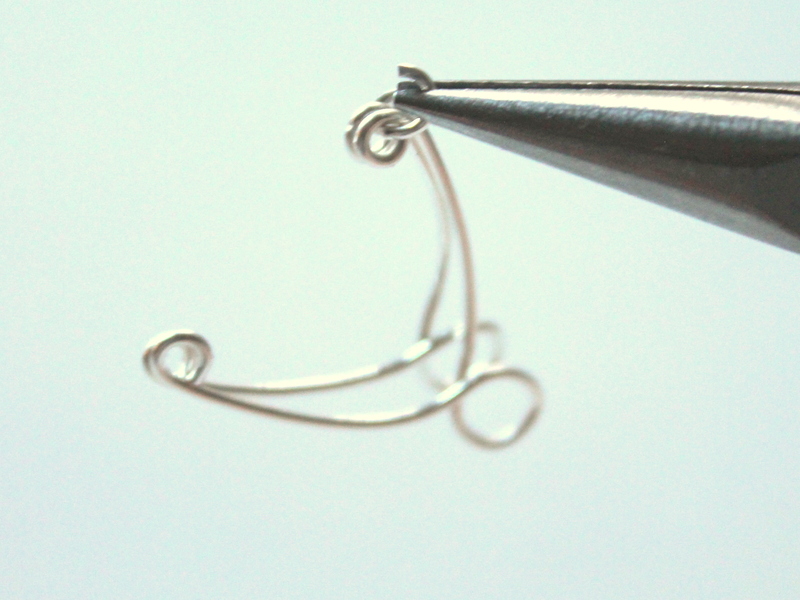 I put the loop back in the round nose pliers and form the U with my fingers, using pressure against the wire to form the curves. Take this opportunity to make sure the ends are even. Now we’ll form a loop on each end of the wire. We want the loop to be facing in. 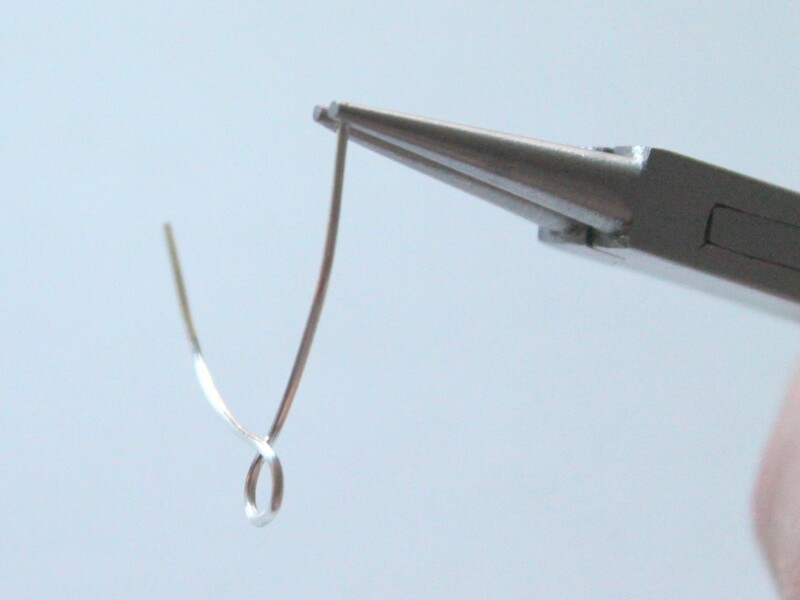 Hold the end of the wire in your round nose pliers. The wire should be at the top of the pliers but not poking through. It should be placed near the tip of your pliers. 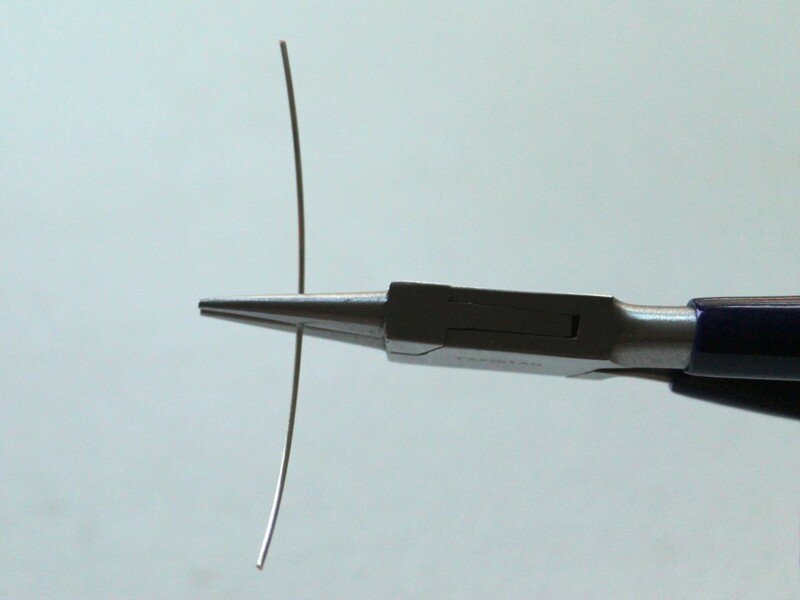 Twist your wrist away from you while wrapping the wire around the barrel of the pliers. Go as far as your wrist will allow, readjust and then complete the loop. Complete a loop on the other side. Both loops should face in. 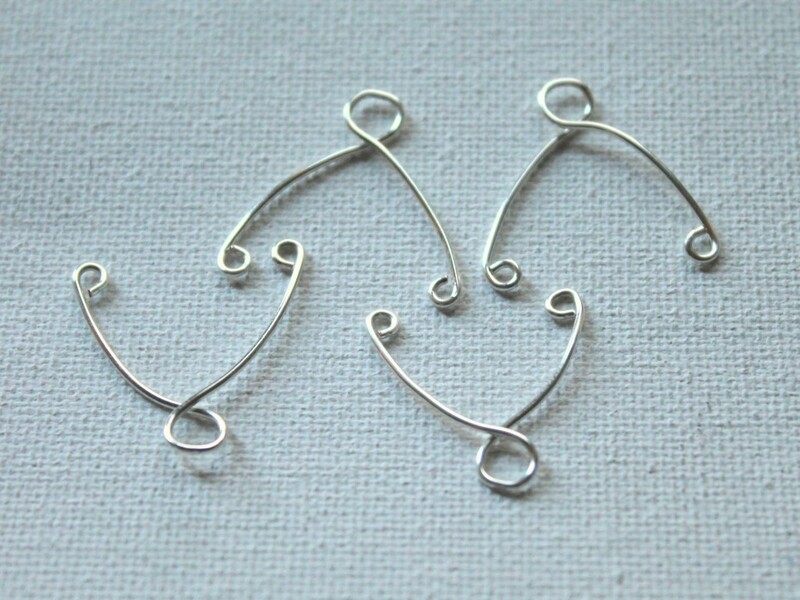 Then repeat the process to make a total of 4 identical wire pieces. Place the pieces together to make sure the all of the shapes are the same and the loops meet up and make adjustments if necessary. Now we’ll attach 2 pieces together. Open a jump ring, place 2 coordinating loops into the jump ring and close the jump ring. Repeat for the other side. The repeat for the second pair of wire pieces. 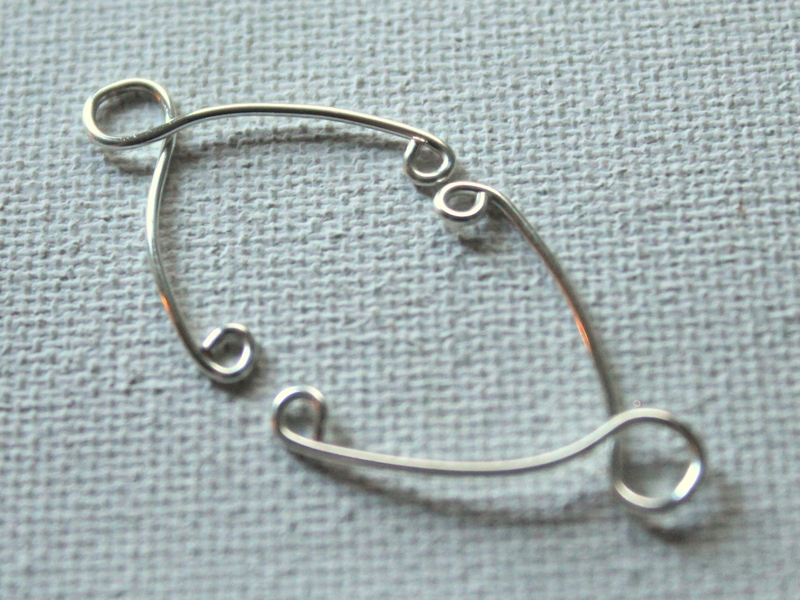 To assistance with open and closing jump rings, see the video linked above. 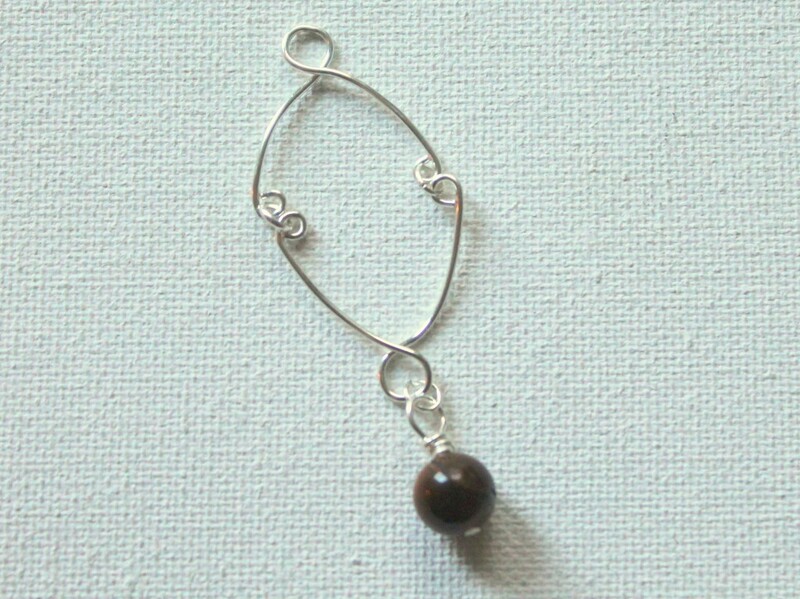 Attach a bead dangle to one loop using a jump ring. 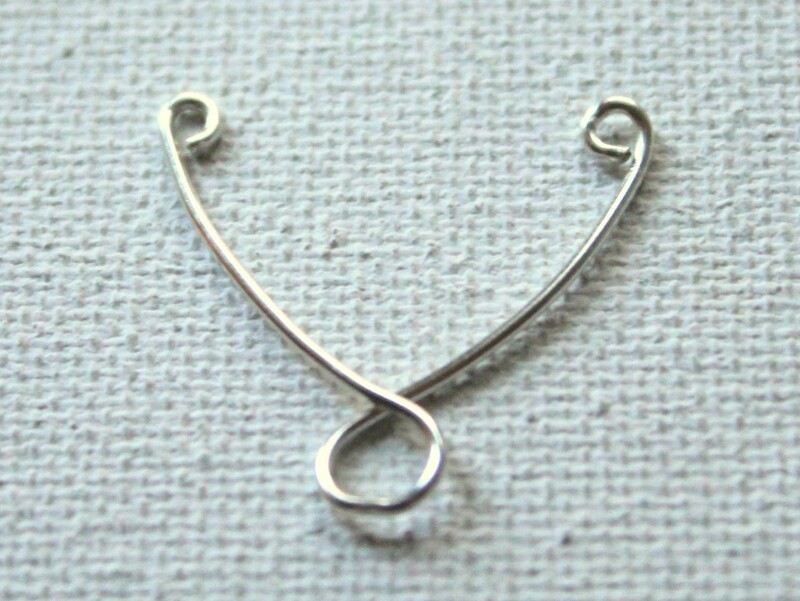 Repeat for the second earring. Add earring wires and you have completed earrings! 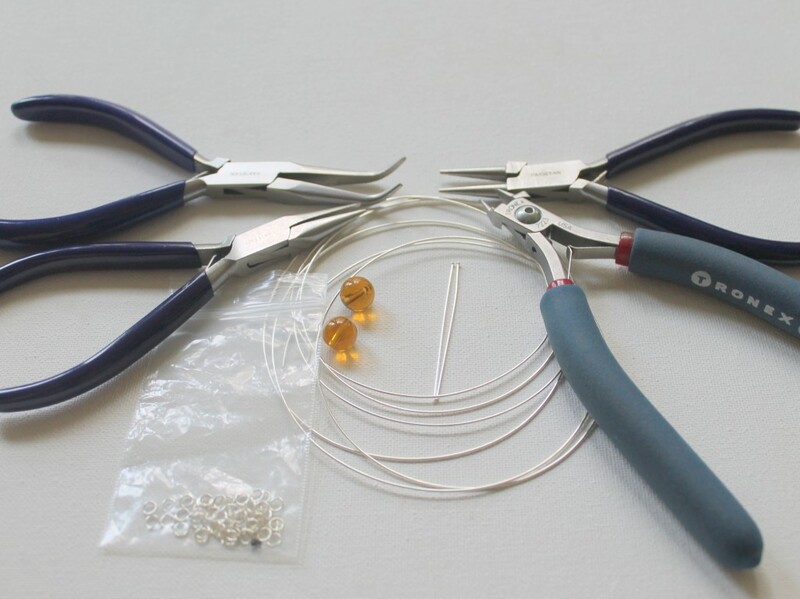 You may also love my Wire Wrapping for Beginners eBook or print book if you’re just starting. Or you can post a photo on my Facebook page. 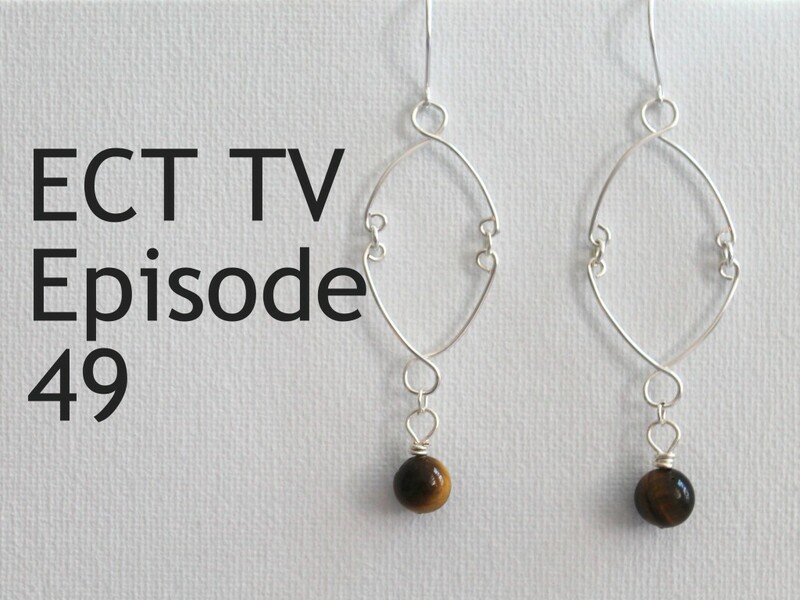 This entry was posted in How to Make Earrings, Jewelry Tutorials and tagged bead dangle, ECT TV, how to make earrings, how to make jewelry, wire work, wire wrapping by Kimberlie. Bookmark the permalink.